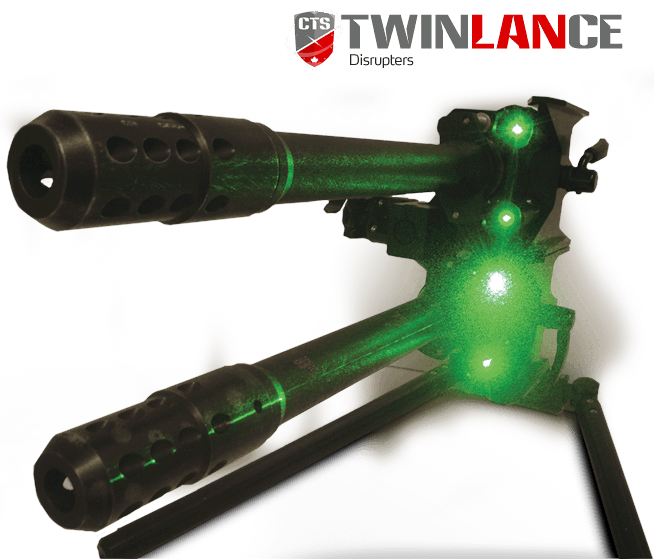 This first model solves three particular problems that presently exist; Weight, use of electrical or shock tube breech, and custom designed recoil absorbing ammunition that is lightweight and affordable. The only stand on the market capable of holding two disrupters. 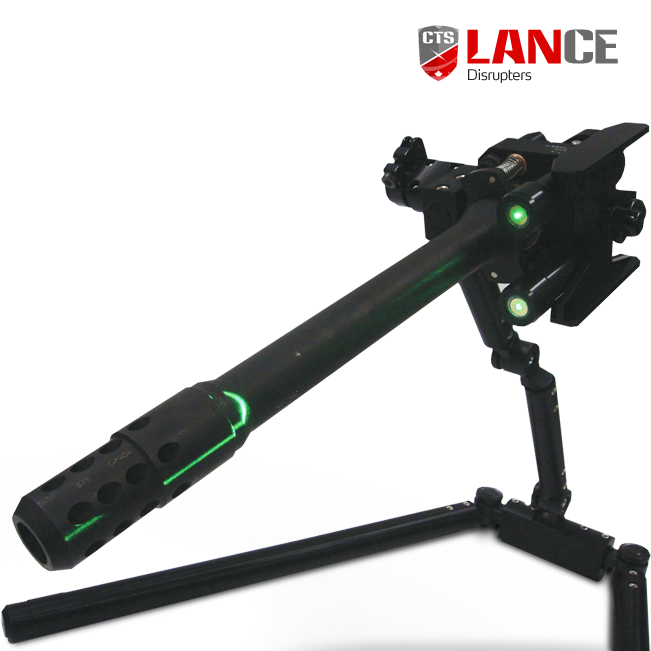 It is lightweight, compact and easily portable. The system can be preloaded for rapid response. 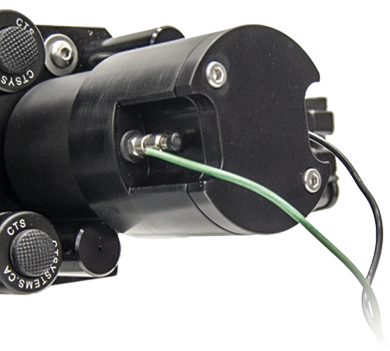 Like the single system, the Recoil Absorbing System (RAS) can be removed and attached to robotic platforms. CTS started its operations at a Canadian government research facility. Their professional staff of chemists and scientists along with the devotion and technical competence of CTS’s personnel is the building block of CTS’s R&D initiative which led to our engineering team to develop the current technologies in the field today. 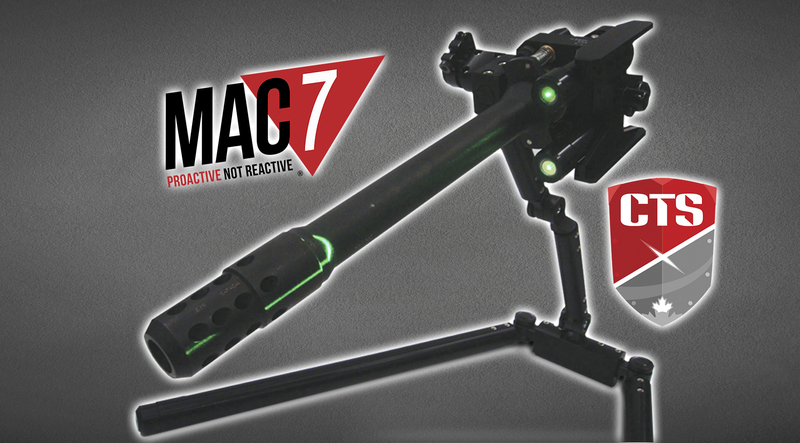 MAC 7 is the official distributor for CTS in the United States. CTS understood that the technology has been stagnant for the last 100 yrs. 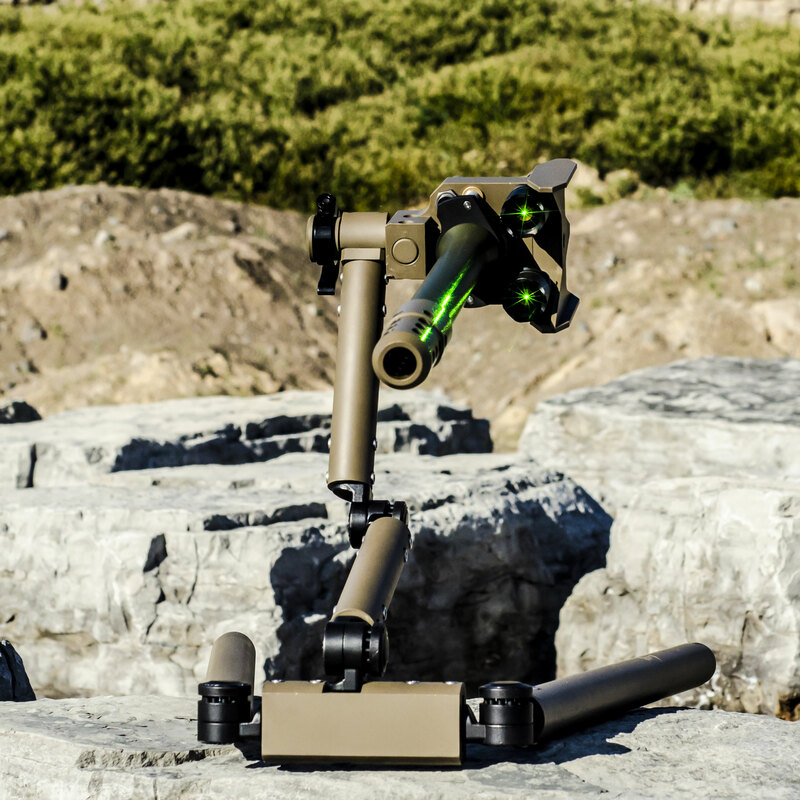 The EOD technicians wish list is the foundation of our mission. 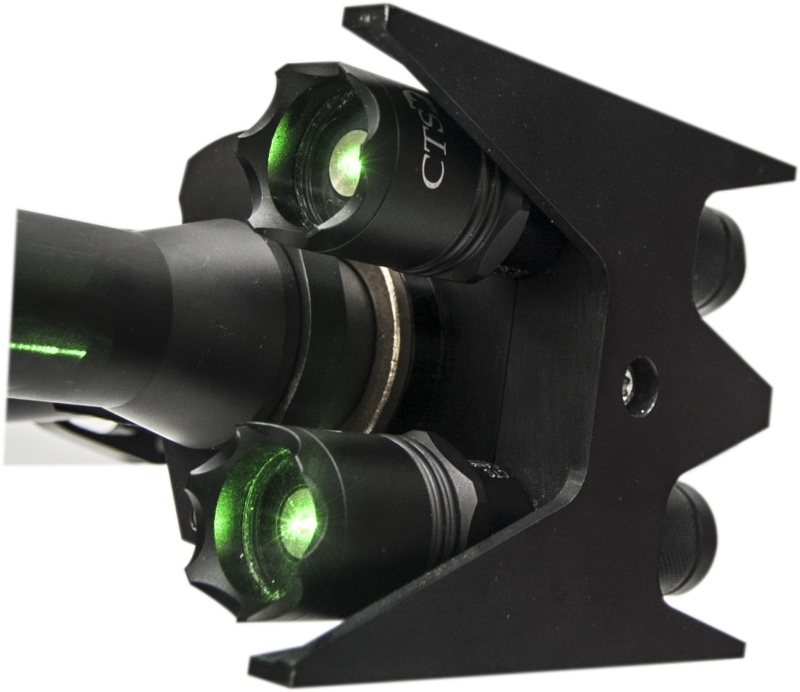 CTS’s recoil-less technology will spawn the most protective disrupter for robotic platforms. It will meet the three main concerns of the industry: weight, power and protection to robotic platforms. The most effective method of neutralizing pipe bombs. Leaves virtually no denting or deformation on the pipe body thus dramatically reducing the shock impact on the pipe itself. Contact us for more info. 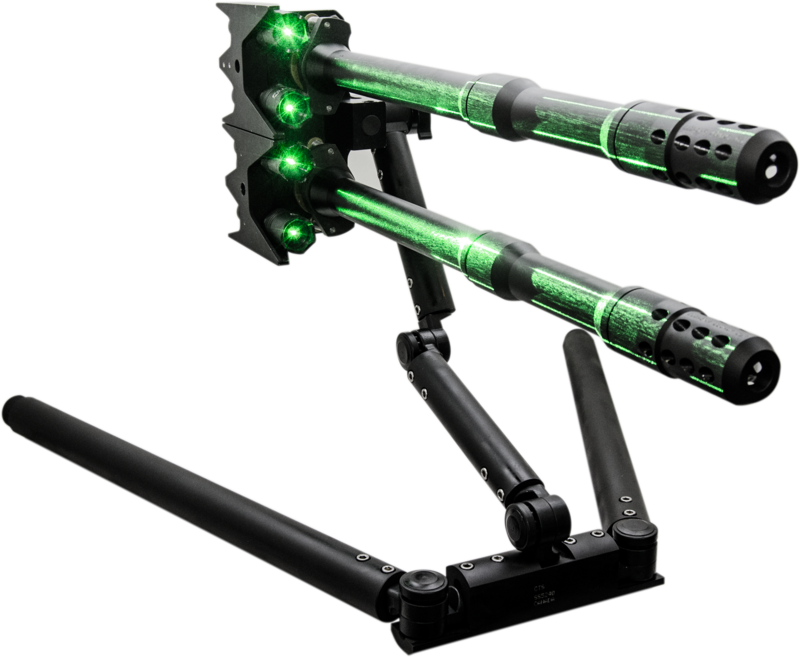 A gel that stays intact after it is fired thus allowing the stand-off distances to be increased dramatically. Most penetrative on the market. Contact us for more info. As powerful as steel slugs but with the benefit of fragmentation and safety of disintegration. "The first of many solutions"
Minimal recoil allows for never before possible applications; small robots, dismounted troops etc. Unique power adaptability on all robotic platforms and vehicles, etc.